Enjoy the folly and fun of the season with gifts and decor that has a bit of humour this holiday season. 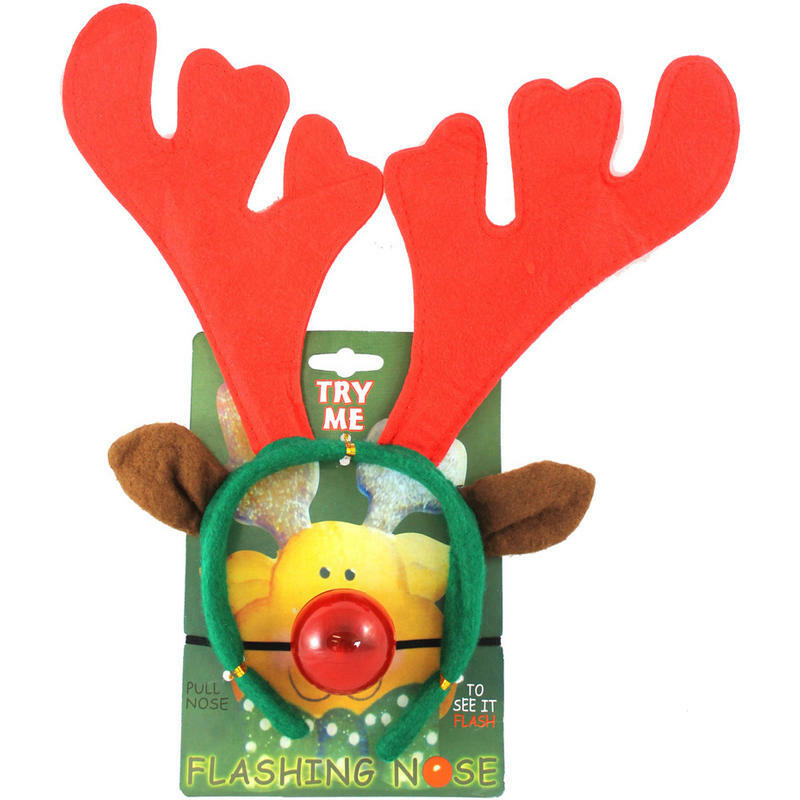 This Flashing Nose Set is just the joke for the family get-together, office party, or gift exchange. The headband-style set will fit a wide range of heads, and the green felt-covered band makes it comfortable to wear, also. Accented with soft brown ears and bold, red antlers, this two-piece set also features a flashing red nose affixed with black elastic cord for wear. This would be a wonderful gift, but be sure to tuck one in the stocking of the chap who enjoys a good laugh and that is willing to take a joke. This is also a popular item for school gift exchanges and teachers’ gifts. It is affordable, humorous, and thoughtful. The card displaying the two-piece Flashing Nose Set measures approximately 20cm wide by 25cm in height, and would be a presentable gift-display with the simple addition of a ribbon or bow!